A film about the role of the individual in history, and of history in the individual. 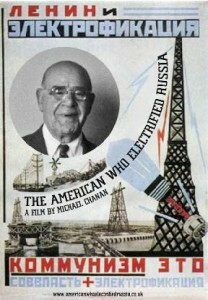 Solomon Trone (1872-1969), a cousin of the film-maker’s grandmother, is a figure unrecorded in the history books, whose life was nonetheless intertwined with History, but in paradoxical fashion: as a communist revolutionary and a director of General Electric (first in Russia, then the USA). Drawing on archives both public and private, this is also a film about the gap between family memory and public knowledge of history—not the history we think we know, but another history, lived in another way.